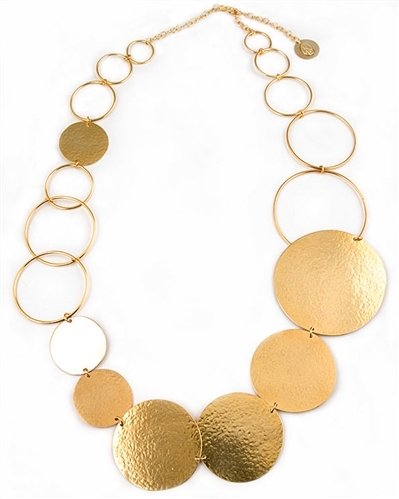 24k gold Vermeil necklace by Herve Van Der Straeten. Necklace has solid and open graduated circles. A stunning necklace, also perfect for a gift.